Living under a mountain of debt is an unfortunate fact of life for millions of Americans. For every dollar earned, a dollar seems to fly out the window as bills mount and debt piles up. So how can people take charge of their financial life and put their money issues to bed? Consumer Education Services, Inc. (CESI), is a North Carolina-based organization dedicated to helping people improve their financial literacy, dig out of debt and take back control. “Our focus is on healthy education around consumer finance that allows individuals and families to be in control of their money instead of allowing the economy and their debt to control them,” said Tracy East, director of communication at CESI. Since its founding in 1998, CESI has helped over 500,000 people, saving them an average of 30 percent a month. CESI is a 501c3 non-profit whose mission is clear—providing enhanced economic security for all of its clients with a primary focus on helping people deeply in debt. “We offer products and services for consumers struggling with unsecured debt to help them get out of debt and stay out of debt, while building a healthy financial future,” said East. She points out that as many as 4 in 10 Americans face income volatility, with income ranging 30 percent month-over-month, leading to a life of living paycheck to paycheck (East cites a study from the Aspen Institute, EARN and the MetLife Foundation). “For consumers that do not have a savings cushion, a large shift in income can lead to financial issues, including inability to pay utilities, eviction, reliance on predatory lending products (such as payday loans) and decreased long-term financial planning/savings (such as retirement),” East noted. CESI offers a range of services to help its clients dig out of debt and achieve a better financial picture. “Everyone’s financial situation is different, which is why CESI provides a range of services to meet the individual needs of the consumer,” stated East. Credit Counseling – CESI offers a free financial assessment online, in-person or over the phone. “With a free financial assessment, you can get a handle on your budget, create a financial action plan, figure out your debt-to-income ratio and determine how to handle your unsecured debt,” said East. Debt Management – CESI offers ways to consolidate your debt into one easy payment that’s then sent to all the creditors thought its Debt Management Plans. Bankruptcy Counseling – CESI offers certificate courses required to get out of bankruptcy. Housing Counseling – CESI offers counseling and other services for people navigating the complex process of buying a home. It also provides reverse mortgage counseling services. Financial Education – CESI provides free financial education resources that are available both digitally and on paper. 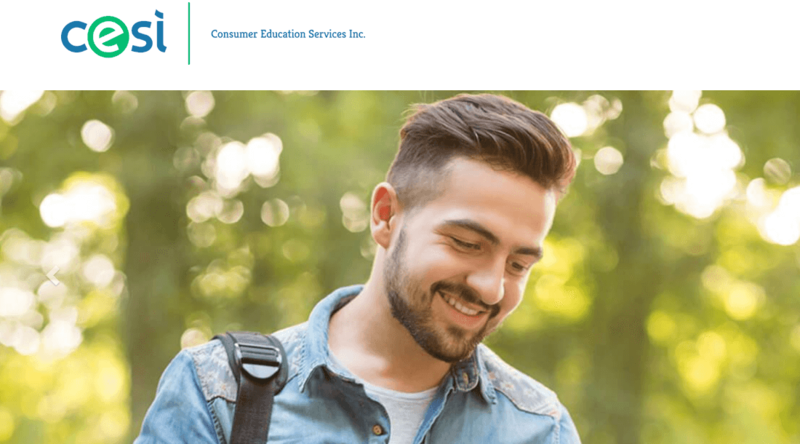 Student Loan Solutions – CESI offers a customized analysis designed to make the student loan payment process easier to understand. She points out that most enrolled customers receive a reduced interest rate of 9 to 12 percent when they sign up for a Debt Management Program (DMP). The DMP will also include fee waivers, customer support and an elimination of those annoying collection calls. DMPs cost an average of $25 a month, after a one-time set up fee of approximately $37. The fees vary by state. In addition to helping clients get out of debt, CESI believes that education is the key to a better financial future. It provides a variety of educational resources on its website, including comprehensive information on credit and debt, a comprehensive guide to personal finance, financial calculators and much more. To find out how CESI can help you improve your financial future, check out www.cesisolutions.org. The organization is dedicated to helping people improve their financial lives with honesty, integrity, transparency, confidentiality and accessibility.